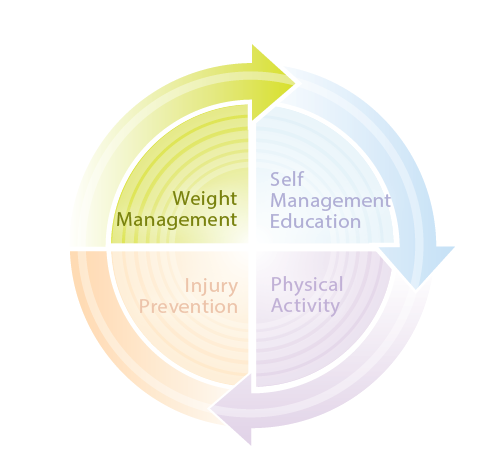 People who maintain a healthy weight are less likely to develop knee OA and therefore less likely to need major surgical procedures to treat OA symptoms. Higher body mass index (BMI) is not only a major risk factor for diabetes, cardiovascular disease, cancer and premature death but is also implicated as a cause of OA. 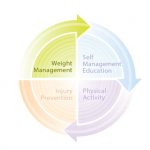 The OA Action Alliance has created pamphlets to assist individuals affected by excess weight and who are experiencing joint pain or have been diagnosed with arthritis to take action steps to improve their joint pain. Can My Weight Make My Joint Pain Worse?